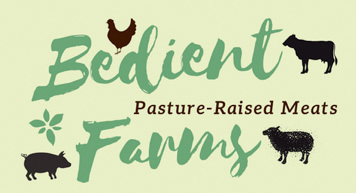 Bedient Farms Meats are available all year round at our two farm locations. Contact me to place an order and it will be ready for pickup at your convenience. Every other Saturday from 10:00AM to 11:00AM, November-May. Myself and several other vendors will carry-on this small market throughout the winter behind the Byrne Dairy! I prefer that you order ahead of time so that I can insure product availability. So order today! We are more than happy to meet in Canandaigua anytime by appointment! My goal is to make buying local, healthy beef as convenient as possible to you the consumer. Delivery to the surrounding area is available.